Charles Luk (1898-1978) trained directly under Zhao Bichen (1860-1942). This was not a long term interaction, but rather a short but profound meeting between the two in Beijing in 1936. The story of this encounter was told by Charles Luk to his British disciple Richard Hunn (1949-2006) in a letter written in 1972, and in person when Charles was very ill in 1976 (when the two met in Hong Kong for the last time). Charles Luk then said that when he needed subsequent guidance, he met with, and learned from, a Qianfeng disciple surnamed ‘Chen’. (However, in his 1972 letter to Richard Hunn, Charles Luk states that he first met Zhao Bichen briefly in the early 1920's, then again at the pivotal meeting in 1936, and hints at subsequent meetings until 1942), Apparently, Ch’an Master Xu Yun (1840-1959) had heard of Zhao Bichen and advised Charles Luk to pay him a personal visit in 1936. Charles Luk, upon this meeting with Zhao Bichen, experienced a profound understanding. At that meeting, Zhao Bichen emphasised the fact that the Profound Dao of Qianfeng was exactly the same as the Empty Mind Ground found within Ch’an Buddhism. He further stated that a student of the Dao can move through each of the 16 stages of Qianfeng Daoism, or in some unusual cases (and mirroring the Ch’an principle of ‘sudden’ enlightenment), realise the Profound Dao immediately, here and now. Zhao Bichen explained that this was not a mysterious happening, but rather the direct consequence of prior training and good Daoist practice, but even having stated this clarification, he then said that some extraordinary beings, (he used the word ‘Sage’), can gain the Profound Dao simply because they are already in the state of the Profound Dao. Certain experiences have the power to trigger an immediate recognition of the presence of the Profound Dao with such power that the dualistic ignorance of ‘subject-object’ is suddenly dissolved. As an individual’s ability is dictated by his or her karma and natural affinities, Zhao Bichen devised the 16 (expedient) steps of Daoist attainment in his manual known (through Charles Luk’s translation) in the West as ‘Taoist Yoga’. Every one of these 16 steps contains in essence the foundation and principle of the other 15 stages – a design that Zhao Bichen premised upon the structure of the Yijing (or ‘Change Classic’). These steps can be followed sequentially, but it is a mistake to become ‘attached’ to sequential Daoist training, as such an attachment prevents the attainment of the higher stages of Profound Dao realisation. This is because attachment to each stage simply remains just that – attachment to stages – and yet each stage must not be rejected with indifference, as not following Daoist instruction is the same as not participating in the practice of Self-cultivation. When Zhao Bichen found-out that Charles Luk was an expert in Chinese to English translation, he asked if Charles could translate his manual into English for the spiritual benefit of Westerners. Charles agreed to carry-out this task in 1935, but it was not completed until 1970 – some 28 years after the passing of Zhao Bichen himself. Zhao Bichen advised Charles to seek-out an international studentship, that communicated through the written word, and which could gather around his (translated) manual. Any problems or doubts could be cleared-up by Charles himself, and anyone Charles had trained and authenticated as a legitimate Daoist teacher. Charles Luk certainly did develop a worldwide studentship connected by letter writing, but it took many years to train Richard Hunn (his key disciple in the West) to be a Daoist teacher – Richard attained this level in 1976 – just two years before Charles’s passing. With the advent of the internet, and Charles Luk’s spiritual descendents in the West making formal links with Zhao Bichen’s great grandson (Zhao Ming Wang of Beijing), the notion of an international Qianfeng movement is taking shape. Obviously Zhao Ming Wang – as the family inheritor of the Qianfeng lineage – must be acknowledged and treated with respect by all followers of Qianfeng, as should Dr Zhang Qingsong who facilitated the contact between Western Qianfeng and Zhao Ming Wang in recent times. It is also important to understand that Charles Luk – through his association with Zhao Bichen – carried-out much good work in the West representing Qianfeng and helping Westerns develop through this teaching at a time when there was no direct contact between China and the outside world. If Charles Luk was alive today, I am sure that he would recommend that we forget his efforts, and instead focus all our supportive attention upon Zhao Ming Wang. In reality, Western Qianfeng practitioners who learned from Charles Luk (and Richard Hunn), should both respect their own tradition whilst learning from Zhao Ming Wang. The Qianfeng Daoism of Charles Luk focuses upon the clear and precise realisation of the empty mind ground – and nothing else. Asking for Daoist instruction in the first instance is allowed (because it is appropriate), but to persist in the demand for ‘technical’ instruction when the empty mind ground has not been realised, is folly (because it is ignorant behaviour). It is the same problem as manifested by those enquirers who believe that Ch’an Buddhism and Qianfeng Daoism are ‘different’. Zhao Bichen suggested that to keep the standard of Qianfeng in the West, enquirers must be asked to realise the empty mind ground because it is no different to the Profound Dao. This placed the emphasis of Daoist self-cultivation upon direct enlightenment because it is a matter that can be attended to here and now simply by sitting and meditating properly. 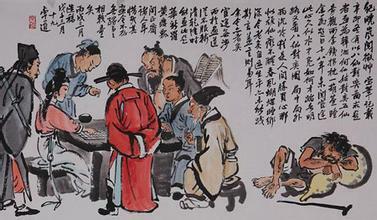 Although Zhao Bichen did teach Charles the health aspects of Qianfeng, it was understood that this kind of practice could only be achieved in person. However, Zhao Bichen was of the opinion that if the empty mind ground could be achieved, then all health issues would immediately rectify themselves as the qi energy became purified. This is interesting, as Zhao Ming Wang not only teaches gradual and sudden Qianfeng enlightenment, but he is also recognised in China as a great healer. Zhao Ming Wang has the knowledge and skill to alleviate and cure health problems in those who are not yet enlightened – this maybe termed expedient Qianfeng – whilst Charles Luk (who was not a medical doctor) emphasised self-healing through intense meditation or immediate mind transformation. Zhao Bichen stated that any one of his 16 stages might be entered initially by any student depending upon their past training, aptitude and sincerity, and that a careful studying of the 16th stage reveals the ultimate position freed from the contrivance of the world. This is the Qianfeng UK tradition.